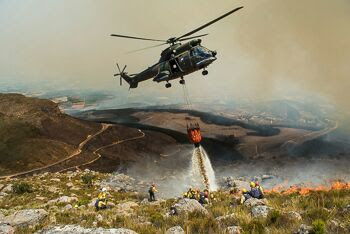 It has been the busiest fire season on record according to the Cape Winelands District Municipality and I am sure many of you can from personal experience agree with that. Extreme fire behaviour has been noted on many occasions with the top being taken by Hawequa where 14 structures in 1 night where lost and the fire tornado at Kylemore. Therefore we will add some things this issue about lessons learnt. over 1100 fires attend Nov-Feb by CWDM alone, ie. not counting the fires attended to by the Local Municipalities while CWDM was stretched to the limit. 12 of these fires (including numerous at Hawequa/Du Toitskloof and Banghoek areas) had the Incident Management Team of CWDM activated, which includes the WFPA staff. Over R10 Million has been spent by the CWDM on firefighting Nov-Jan.
CWDM would also like to thank all the landowners for their assistance and commented on the commitment by landowners improving from previous years. 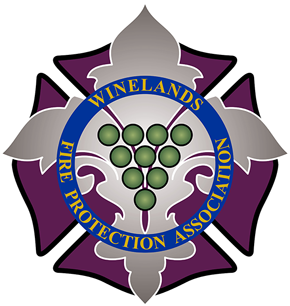 We as the WFPA want to particularly thank our leaders who stood up and took control, some of whom you can be sure to find involved at most fires in their areas. 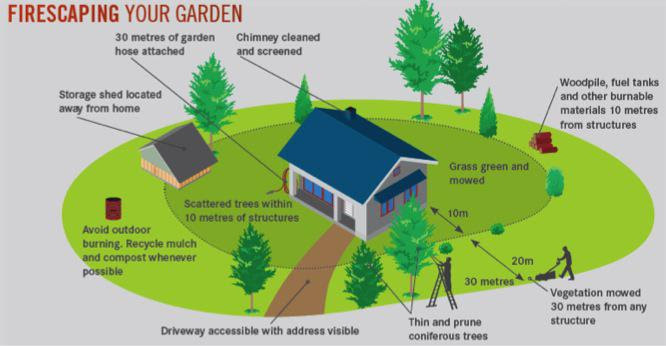 Create a buffer zone around your home and structures that will limit the spread of wildfire to the structure and also creates a zone of lower fire intensity from where firefighters can attack the fire. See the image below or those on our website for more details. How could a house over 500m from the fire burn down? Ember showers is the answer. 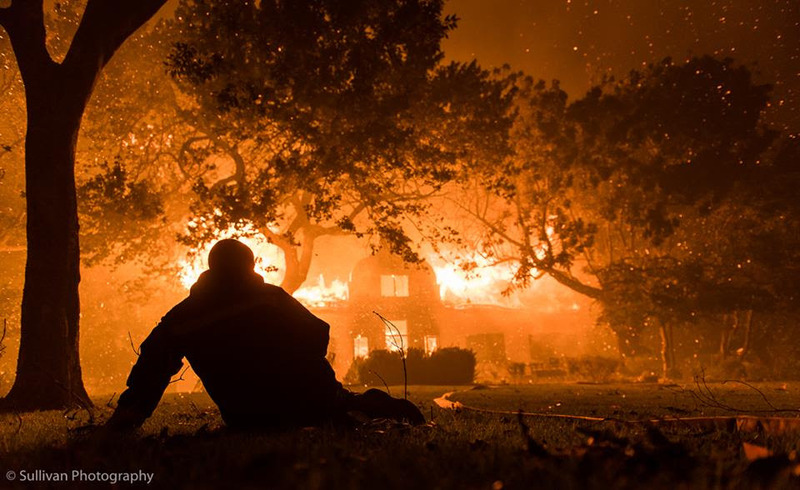 Ember showers rather than direct flames are what causes many houses to burn during a wildfire.But this was a thatched roof, so it won’t happen to me? In fact this could have happened to any house with exposed flammable material on or next to it. This includes dry plant material in gutters and under decks and porches. What if I do have a thatched roof? Make sure your roof sprayers are in full working order and put them on as soon as the wind is blowing smoke over your house. Or have you thatch treated with fire retardant. Many of you will have heard of the 14 year old boy near Caledon who lost his life while fighting a wildfire. He fell off the back of a bakkie into the fire. Therefore we cannot stress enough how important safety is!! Wear the correct PPE to protect yourself. Keep a pair of overalls with your fire pump for in case. You cannot fight a fire injured or with a damaged vehicle!! 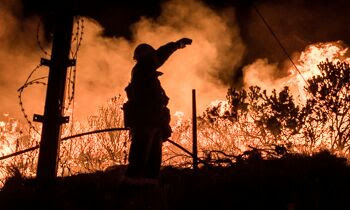 In fact you will take more firefighters from the fire because helping you is more important than anything else. So please take the extra few minutes and think SAFETY FIRST. For those interested in ordering PPE or equipment, we now have a supplier in Stellenbosch who can order you any firefighting equipment or PPE you need. For more info visit our website. Thank you to all who have completed theirs! Each member must please fill this form in annually. This is to make sure we have your up to date contact information. This year we have created a Google form for fast and easy submission, however we also have the form in PDF format for those preferring to print and return. By now most of the individual members (not through a Landbou Vereniging or Conservancy) should have received their invoices. If not please be patient we are sending them out as fast as we can. Please note that there will be a R200 (joining fee) penalty for all who paid after 90 days of invoice. Membership certificates will only be issued from date of payment to 31 March 2018.